I think we’ve all felt this way at some point in our lives — whether it’s the result of circumstances beyond our control or isolation of our own choosing. I remember an incredibly difficult season in my life when I found myself pulling back from everyone. Even my closest friend. She knew I was going through a really hard time, but she couldn’t get me to talk about it. I was slipping away from deep conversations, making everything way more shallow than it ever should have been between us. I texted instead of calling. I made excuses for why we couldn’t connect. And before I knew it, I woke up one day feeling more alone than I’d ever felt in my life. I kept smiling and saying things like “I’m fine. Everything is good. Doing well.” But while I was smiling on the outside, I was screaming on the inside, God, where are You? Probably a better question would have been, God, where have I wandered off to? Have you ever wondered how that one sheep got lost? Was he willfully disobedient? Did he think, Man, I don’t like the way this shepherd is leading us; he can’t be trusted, so I’m out of here. He started eating some grass, and while eating thought, Wow, this grass is pretty good. The pleasure of immediately satisfying his desire got him off track, and he found himself not paying attention to the other sheep around him. And then suddenly he looked up, and he was alone. He probably had no idea he was off track. He may have been out of sync with the others for a while, but he really had no idea. I have a feeling that’s how we all get lost sometimes. We find ourselves a little discouraged or distracted, and we just start to subtly slide away. We start sitting on the back row. We miss a few weeks of church. We don’t sign up for the next small group study. We make excuses, and then we find an exit. A way out. We take a step, then another step, and then before long we look up and wonder, How in the world did I get here? And, Where are all the other sheep? That’s exactly where the enemy wants us — alone. Alone with our own tangled thoughts. Alone with his whispered lies that start to sound more and more like truths. Separated from the very people who could speak courage into our deep places, flirting with discouragement and defeat. Separated from friends who could let us stand on their faith when our own gets a little shaky. The enemy knows if he can isolate us, he can intimidate us. Confuse us. Deceive us. And ultimately, make us believe the safer paths in life are ones apart from God and our friends who serve God. It’s such a dangerous place for us to be. That’s why I’m so grateful God used an unexpected conversation with a woman I barely knew to reach me during that season. As she shared her own faith journey, my heart was deeply convicted. I’d been so focused on my desires and strategies for fixing things that I’d lost sight of my Good Shepherd with a good plan. After that, I didn’t just get deeply honest with my one friend I had pushed away. I circled up with several trusted companions, and I let truth build bridges to keep us connected in the midst of the disappointments and heartbreaks we were all facing. Maybe you’ve found yourself completely alone. Maybe you’ve wandered off course — willfully, or slowly and steadily without even realizing it. The Good Shepherd will come and find us no matter how we get lost or how far we wander. In the midst of our wilderness He pursues us, calls out to us, brings us back to the fold and lovingly takes back the lead in the journey. Because He never intended for us to do this life alone. Dear Jesus, help me recognize when I’m starting to stray. I want to turn from the choices that get me off course and follow You fully once again. I need Your help. I need Your guidance. Hold me close. Guide me. I’m choosing today to trust how You lead me. In Jesus’ Name, Amen.  The newest episode of The Proverbs 31 Ministries Podcast is out! Tune in this week to hear Lysa TerKeurst teach on the quickest ways to frustrate and fracture a relationship. Check out this episode on your podcast mobile app, or download the latest podcast here today. You can follow along with Lysa TerKeurst — as she follows after the heart of God — at her blog and on Instagram. Today’s a good day to do some course-checking. Have you been looking for the Shepherd and His leading in your life? Are your fellow sheep around you? Join in the conversation here.